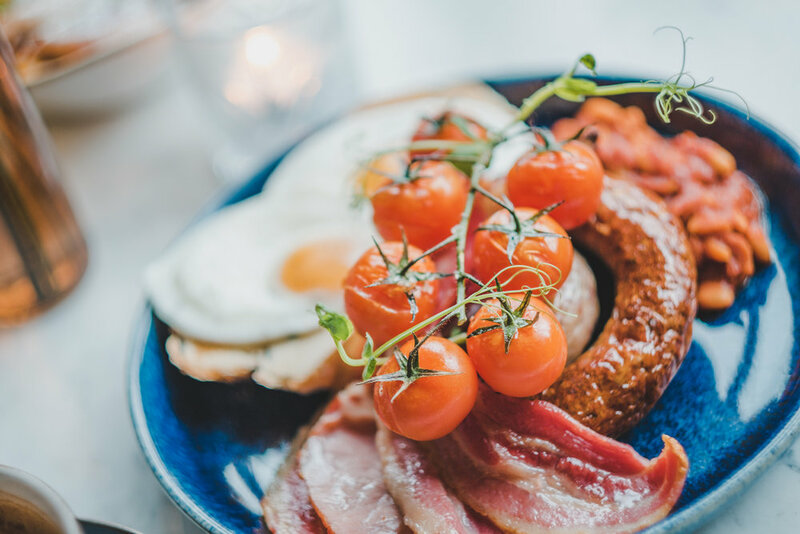 From a full English breakfast in Preston’s city centre to a social dining experience in the ornate dining room. PLAU has an extensive range of world-inspired cuisine including a great range of Vegetarian & Vegan options. Full English Breakfast - Vegetarian & Vegan options available. Sunday Feasting - Traditional flavours. Lunch, 3 plates for £12 - Mix and match your favourite dishes. King Prawns, Vegan Sui Mai & Gujarati chips pictured. Enjoy more of our small plates for less. Sit before Six is special offer Tuesday to Friday 4:30pm to 6pm. Simply book a table before 6pm and enjoy 10% off food from our dining menu. Sharing quality food with friends and loved ones. Our Lunch and Dining Menu consists of a variety of small plates. Compared to a traditional, 3 course dining setting, our small plates can be ordered as you please throughout your sitting. We recommend starting with two to three plates each, you can always order more if you’re still hungry. The theme is all about sharing, rather than ordering food specifically for you. The small plates are served the moment our talented chefs have freshly prepared them in the kitchen. This means that not all dishes arrive at your table at the same time. A plate that takes longer to prepare will arrive a short time after those which are quicker to prepare. This ensures your food is as fresh and delicious as possible.